If you're making a flicking gesture with a pen near your computer, watch out. 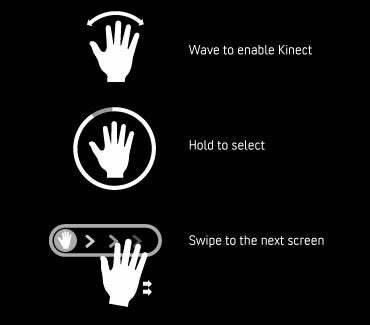 Microsoft may own the rights to the gesture you're making. And if you like to draw letters of the alphabet using one penstroke per letter, you may one day find yourself paying a licensing fee to Xerox. It sounds crazy, but tech companies have been patenting physical gestures for almost two decades now. In a world ruled by touchscreens, Kinect, and Guitar Hero, these businesses don't want people making certain gestures without paying for it. Find out which gestures you're making that may be infringing somebody's patents. Here are ten patents that limit your ability to use certain physical gestures because somebody owns them. Of course this is owned by Apple, as any iPhone user can tell you. Apple owns a design patent on the "ornamental" design of the lock screen that asks you to "slide to unlock" by tracing your finger in a straight line across the screen. So they haven't exactly patented the gesture itself, but instead the design that draws you into making the gesture. So you'd better not create any designs that invite people to "slide to unlock" anything. This patent may be one reason why the unlock screens for Android phones don't allow you to pick an unlock gesture that's one, single slide across the screen. One critic called Apple's latest patent application, filed this year, "bonkers" because it includes several multi-touch gestures that look more like the dance steps to the Time Warp than actual things your fingers could do on an iPhone. You can see them here - basically, Apple is trying to claim ownership of everything from an infinity gesture on your phone, to some sort of weird thing where you stick three fingers on the screen and wiggle the middle one in a circle. This wouldn't be the first time Apple patented a weird gesture that we now take for granted on many devices: The company owns the patent on the "pinch to zoom" gesture which lets you expand or shrink images on many touchscreen devices. Did you know that if you draw a letter using one stroke, without ever lifting your pen from the page, you could be infringing a patent owned by Xerox? That's what the company Palm found out a decade ago, when they launched their Palm Pilot. 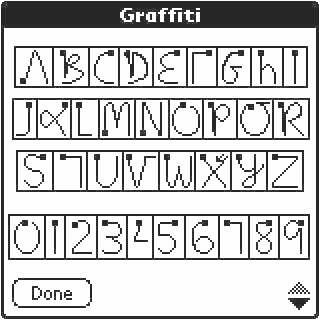 You could input text to the device using the "graffiti" alphabet, created by drawing letters with simplified strokes of a pointer device. This led to Xerox filing a giant lawsuit against Palm. The issue? Xerox thought the gestures to make the Palm graffiti alphabet were too similar to those required to make Xerox's patented "unistroke" alphabet. Palm now owns a patent on a "multiple stroke" alphabet. Samsung sneakily patented the use of gestures to move icons around on your phone, but they didn't specify which gestures. At some point, I bet they'll sue somebody who makes an app that lets you give the bird to a Samsung phone in order to send pre-installed Facebook apps to the trash. Microsoft owns a patent on what it calls "gesture profiles" for use with the Kinect.These are custom profiles that users can create to make favorite gestures into commands. So, for instance, you could create a custom profile where doing the Vulcan greeting gesture opens your favorite game. And Microsoft would own your ability to do that. They could prevent other companies from allowing you to create similar gesture profiles for competing products. Strangely, Microsoft also owns the patent on "a system and method for determining whether a flick gesture has occurred." Specifically, Microsoft owns the patent on making said flick gesture with a pointing device, and then causing an animated movement on a screen as a result. Basically what they seem to be getting at is that they own the gesture where you flick your pen at a tablet, and it causes something like an arrow or window to move across the screen. Still, is the idea of flicking your pen at something really an innovation worth patenting? Ever get pissed off at your phone and shake it up and down until it reboots? You could be benefitting from a patent infringement! Intellectual Ventures owns a very broad patent on moving your mobile device around (basically, shaking your phone). If any company dares to create a product which relies on somebody shaking a mobile device to reboot, they'd better cough up some cash to license this gesture from Intellectual Ventures. You know how researchers in scifi movies sometimes say, "Check out my molecule," and a molecule hologram appears that they move around to give us our infodump about whatever the molecule does? Well, let's just hope that whatever high tech system they're using to do all that has paid licensing fees. Lucent owns a patent on manipulating 3D objects in virtual environments. That's right - you need to pay up if you intend to make any gestures that allow you to enter the world of Tron. Here's a seriously weird one. A company called GestureTek owns several patents on optical systems for sensing gestures, but the most bizarre is their insanely broad patent on a device that tracks two-handed motions. If you want to make a device that detects two-handed movement (charmingly called "bimanual movements" in the patent), you should be paying a licensing fee to GestureTek every time you do jazz hands. You may have heard of Swype, which allows you to text by just sliding your fingers over the keyboard of your phone instead of poking each key. You didn't think Swype was letting you do that out of the goodness of their hearts did you? The company Swype owns a patent on "system and a method for continuous stroke word-based text input," which sounds incredibly smutty but just means that you'd better keep texting the old-fashioned way by poking those tiny keys with your fingernails. An interesting note: You're probably wondering about the Nintendo Wii, which is one of the most obviously gesture-controlled pieces of technology that's been on the market in recent years. Interestingly, Nintendo did not patent any gestures at all in the creation of the Wii controller, instead focusing entirely on patenting facets of the device. Their patent covers a controller that contains an accelerometer, but not the gestures used to operate it. This io9 Flashback originally ran in June 2011. Thanks to Wendy Seltzer for legal help and suggestions!